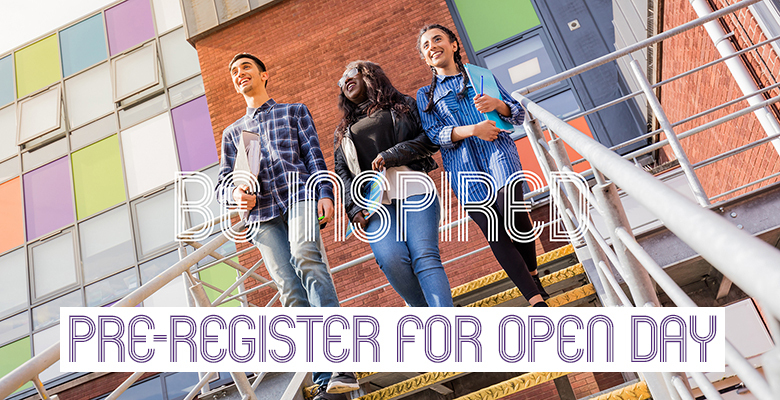 Recruitment for 2017 is well under way at The Sixth Form College, Solihull, which is preparing to throw open its doors for Open Day on Saturday 8 October, and pre-registrations for this event are now being accepted. Prospective students and parents will be able to learn all about the 43 courses available at the College as well as the enrichment opportunities, facilities and support services on offer. The College will be open from 9.30am – 3.30pm on 8 October, with a last entry time of 2.30pm. All prospective students are asked to come accompanied by an adult and are encouraged to pre-register in advance. All curriculum areas will be staffed at Open Day, enabling visitors to meet teachers and students on all our courses. Specialist staff in Careers, Additional Learning Support and Academic Coaching will also be available to tell students and parents about the support offered to students during their time at College. Representatives from the Universities of Birmingham, Leicester and Warwick will also be present for those looking for advice on what courses to take with a Higher Education ambition in mind. The College will also be showcasing its impressive range of specialist enrichments. As well as the traditional sport, music, drama and dance enrichments, the College offers a number of specialist academies run to support students with particular career ambitions. These academies include a Pre-Medical School, Engineering Academy, Shakespeare Academy, Psychology Research School, Teaching Academy and many more and are unique to The Sixth Form College, Solihull. Many of these academies run in association with High Education partners, such as the University of Nottingham supporting the College’s Chemistry Project and Aston University supporting our Business and Law Academies. Further information about these academies and courses is available on this website.